Tony has a range of research interests including: young people’s life transitions and social mobility, gender and domestic life; home, neighbourhood and urban regeneration; social enterprise; and, third sector development. For several years he has undertaken applied research for private, public and third sector organisations, including: Joseph Rowntree Foundation, Big Lottery, Charity Bank, ESRC, Cumbria Community Foundation, Community Foundation: Tyne and Wear & Northumberland; O2; Telefõnica Foundation; Cabinet Office; Northern Rock Foundation; Department for Education; Childrens’ Workforce Development Council, European Social Fund; JPMorgan Philanthropy; and, Drinkaware Trust. He has also undertaken a wide range of projects for local authorities and government agencies across the North East of England. Tony’s work has an international dimension. Comparative research on social enterprise in North East England and Yamagata, Japan has been running for 9 years with colleagues at Tohuko and Sanno Universities. New links have now been developed with Tokyo, Waseda and Keio Universities. Research for O2/Telefonica, invovles comparative research on young people’s life transitions and social mobility in six European countries, including the UK, Eire, Germany, Spain, Slovakia and the Czech Republic. Fred is an expert on social and economic development in North East England and, in particular, the role and impacts of public policy and the Third Sector. He has evaluated a wide range of regeneration initiatives and done research on structures and processes of regional and local governance. His work has included a longitudinal investigation of the development of the Third Sector in the North East and Cumbria ( with Professor Tony Chapman, for the Northern Rock Foundation); research on the possible implications for North East England of further Scottish autonomy (commissioned by the Association of North East Councils, in partnership with the Institute for Local Governance); and analysis of the financial challenges facing local authorities in the North East (also for ANEC and ILG). Fred is involved in community development as a researcher, practitioner and participant. He has carried out an extensive study for the Joseph Rowntree Foundation looking at how universities can support disadvantaged communities. He also helped to design and develop Durham University’s community outreach programme and staff volunteering scheme. For more than 20 years he has served as a volunteer and chair of the Waddington Street Centre, a mental health charity in Durham. He was formerly chair of the North East Policy and Representation Partnership, an initiative which encouraged and supported Third Sector organisations to influence public policy. Recently he has been working closely with Durham County Council. Fred and Ian Zass-Ogilvie are continuing to work with the Council to help local social enterprises take control of community buildings and deliver public services. In 2016 Fred also assisted the Council with a public consultation on the Government’s proposals for regional devolution. In September 2016 he started a new programme of work exploring democracy, accountability and representativeness in the North East’s public institutions. Who runs the North East? is supported by the Joseph Rowntree Foundation, the Institute for Local Governance and Muckle LLP and is a joint initiative with Professor Keith Shaw at Northumbria University. The project has a strong practical focus: developing better governance in our region. Stephanie is a Senior Research Associate of Policy and Practice at St Chad’s College. She was awarded her PhD in 2018 for a qualitative study of young people on employability programmes in North East England. She also has BSc in Sociology and Social Policy (Durham) and Masters in Taught Masters, specialising in Social Research and Social Policy (Durham). Her Masters dissertation focused on the impact of local and national social policy interventions on young people who are not in education, employment or training (NEETs). Stephanie was awarded an ESRC Scholarship at Durham University where she carried out research on welfare policy and its impact young people. Her doctoral thesis is a longitudinal multi-case study, which looks at the lived experiences of young unemployed people, in the North East of England. Research methods included focus groups, individual and group semi-structured and unstructured interviews, and phone, email, and Facebook correspondence. These methods have been used to undertake an in-depth inquiry into the views, attitudes, actions and interactions of the young people from the perspectives, over a 6-9 month period. This research maps the experiences and progression of young people who are unemployed and living in various locations in the North East, generally regarded as ‘weak economies’. The young people’s experiences of the reformed JobCentre Plus are documented, including the increased conditionality and imposed sanctions. Working alongside, Professor Tony Chapman, Stephanie has worked on the evaluation of two Cabinet Office research projects on youth social action and the NYA's Big Lottery funded 'My Money Now' evaluation which was published in 2018. 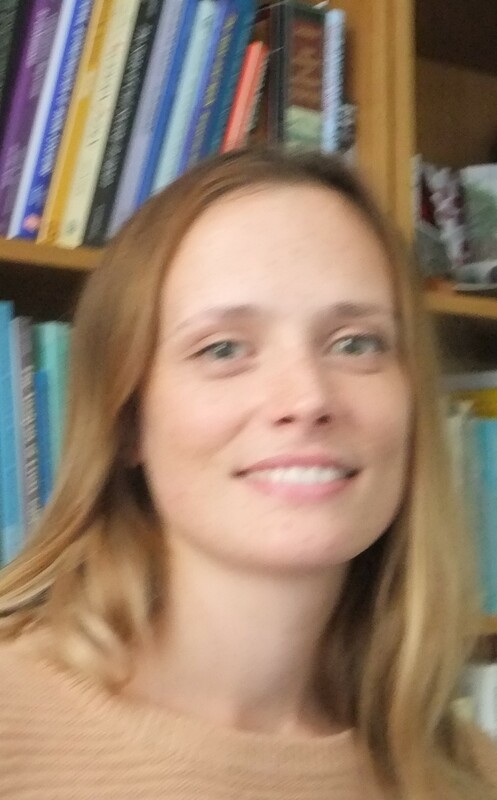 She is also working on current proejcts: on young people's life transitions for Durham County Council and the Institute for Local Governance; the Big Lottery ‘Our Bright Future’ evaluation She has also been involved with the evaluation of the O2/Telefonica Think Big programme. Stephanie is also a qualified Teacher in post compulsory education. She has taught Level two access to learning to young people and adults wanting to re-enter education but who lack GCSE equivalent qualifications. She has also taught social policy in the School of Social Sciences for several years at undergraduate and masters level. Dzulfian Syafrian is an economist whose research covers public policy, financial institutions and economic development. Since January 2016, Dzulfian has been undertaking his PhD at St. Chad’s College and Durham University Business School. 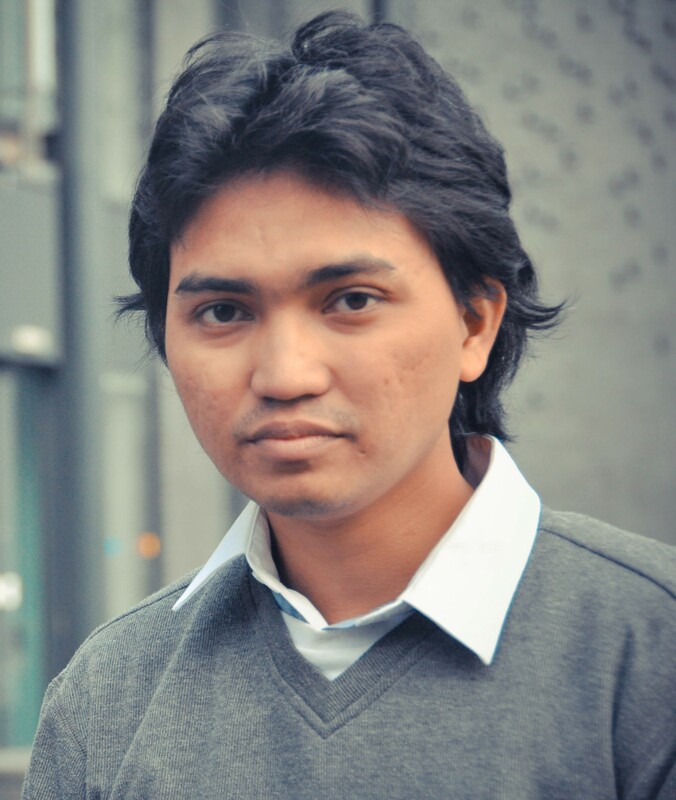 Dzulfian’s PhD project is focusing on the impact of Japanese inward investment in manufacturing Industry on the economy and society of North East England. This research concentrates on the relationship between Japanese companies and indigenous British companies. The project aims to understand how the Japanese foreign direct investment (FDI) and the process of “Japanisation” of Western companies works in Britain; define what the effects of Japanese FDI are on the economy and society of the North East; and, determine what challenges companies face and how they overcome these. This project is the under supervision of Professor Tony Chapman (St. Chad’s College – Durham University) and Professor John Mawson (Director of the Institute for Local Governance, Durham University Business School). 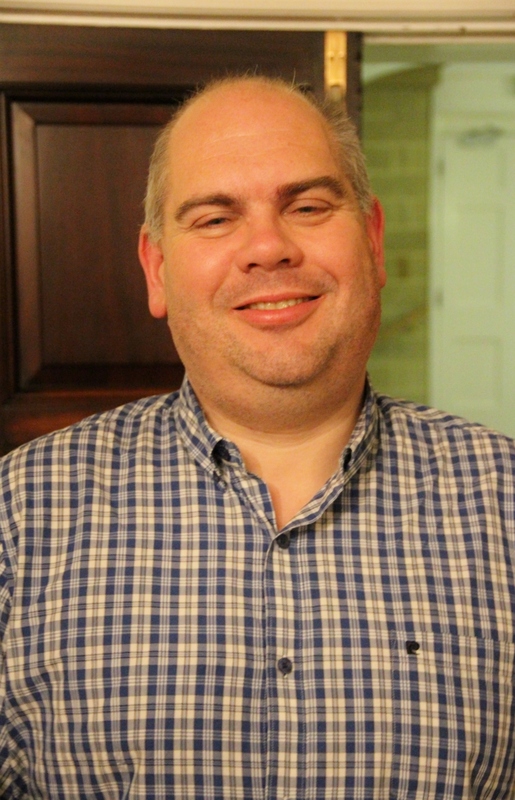 Paul has a Masters degree in Economics from Cambridge University and is a Senior Research Associate at St Chad’s College. He has special regional knowledge of FDI, skills and SME-related issues across a wide range of sectors, and expertise and experience in relation to: data analysis and presentation methods; questionnaire and survey design, piloting, delivery and analysis; delivery of tailored outputs; database design, management and development; and report writing, editing and design. Paul has conducted independent research on behalf of the CITB into labour market conditions in the construction industry and led similar sectoral projects relating to the regional and national automotive sector (for ONE/DTI). He has played a major part in recent work relating to a variety of small business issues and has produced over the years a large number of reports analysing aspects of foreign direct investment in the region. Paul prepared the regional chapter in the annual publication by Cambridge Econometrics, Regional Economic Prospects: Analysis and Forecasts for the Regions of the UK over the period 1998-2007. He has unrivalled skills with respect to literature search, and carried out a substantial element of bibliographical background on Passing the Baton: encouraging successful business transfers, based upon an international literature review for the DTI/SBS in 2005. More recently, he has concentrated on business support issues in a wide range of contexts, including support aimed at women; support to develop high performance work systems; the detailed firm-level impact of various business support products and finance schemes; and support aimed at social enterprises. He is Editor of the Northern Economic Review and Co-Editor of Regional Insights, and regularly compiles the list of the 50 Fastest Growing Companies in the North East on behalf of The Journal and Ward Hadaway. 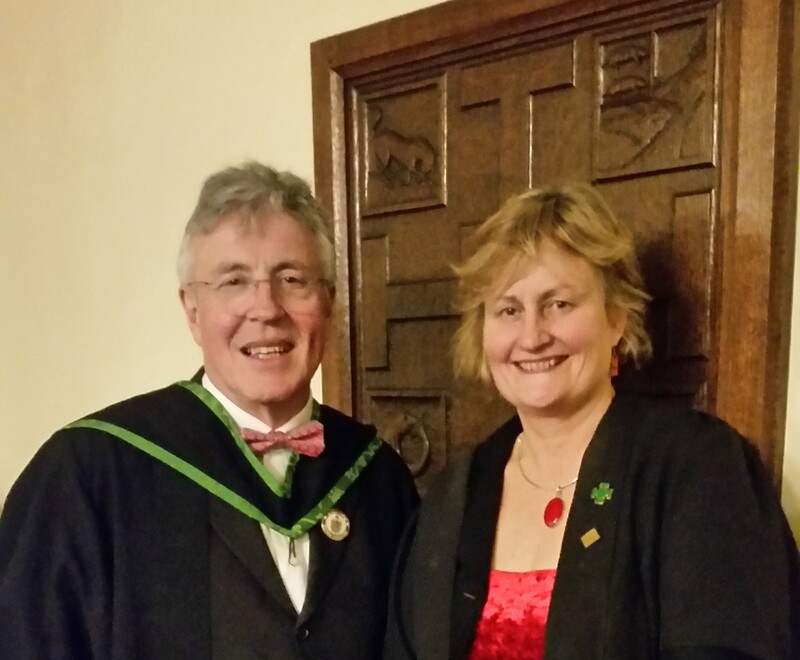 Ian is an Anglican priest and chartered surveyor. He came to the North East in 1966 as curate of Washington and pit chaplain, later working ecumenically as regional coal industry chaplain. Subsequently he was engaged in establishing (and on two occasions working for) housing associations in the NE and later supporting the single homeless in central London. Moving to Scotland in 1984, he set up a number of community enterprises and became a founder member of Scottish Churches Housing Action and board member of the Scottish Refugee Council. Throughout his dual career he has worked to initiate social and housing enterprise, latterly as chief officer of the Churches’ Regional Commission in the North East with faith communities. 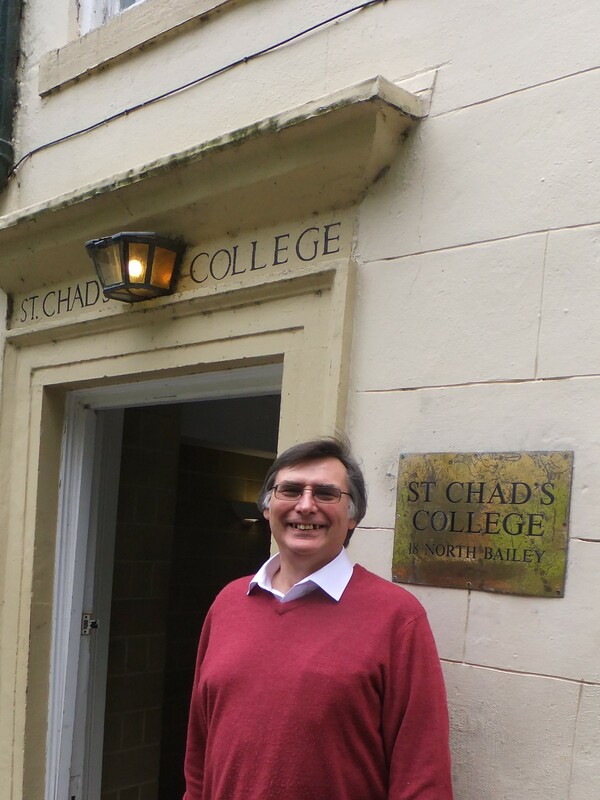 For the last 10 years at St Chad’s he has assisted Professor Fred Robinson with a considerable number and variety of social research projects – currently working with local community groups and Durham County Council in facilitating community asset transfer. He is also a pastoral tutor at St Chad’s. John Mawson has a multi-disciplinary professional and academic background having worked in the Regional Report Team of Strathclyde Regional Council and subsequently as Director of Economic Development at West Midlands County Council. He went on to serve as Chief Executive of the pioneering West Midlands Enterprise Board Ltd., a local authority controlled venture capital institution which was to successfully operate across the region between 1981 and 2012, and influenced the development of the Labour Government’s Regional Development Agencies Programme. In the academic world John was Director of the public sector MBA programme at the School of Public Policy, Birmingham University and went on to hold Chairs in Town and Regional Planning at Dundee University, and Public Policy and Management at Aston Business School. Between 2001 – 2009 he was Director of the Local Government Centre at Warwick Business School, which carried out a wide range of national policy evaluations funded by central government including Local Strategic Partnerships, Local Area Agreements, New Deal for Communities, Neighbourhood Management, and Sub-regional Transport Plans. The Centre also ran the longstanding Warwick Local Authority Research Consortium and a Social Exclusion Network involving leading councils (including Birmingham, Manchester, Cardiff and Bristol) in research focusing on innovations in policy and service delivery. In carrying out this research agenda the Centre pioneered co-production methods of engaging elected members, officers and academics in the work. 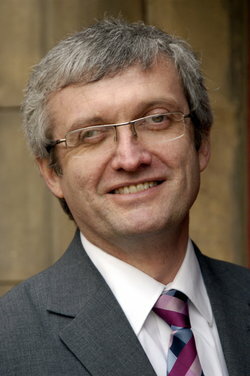 John currently holds a Chair in Durham University Business School and is Director of the Institute for Local Governance. This is a regional research and knowledge exchange partnership involving the key public sector institutions in the North East and its Universities, designed to promote research and knowledge exchange. Since its establishment in 2009 it has brokered and delivered some 90 research projects worth £2million, raised a further £500,000 for its Partners and organised over 180 knowledge exchange events involving 4300 attendees from academia, public, private and voluntary sectors. In the world of practice, John has held Board positions in several private-public sector partnerships and community initiatives including serving as a Director of the West Midlands Technology Transfer Centre, Warwick Science Park and Greets Green New Deal for Communities. His research and consultancy work has involved leading the successful London wide bid to establish the London Development Agency undertaking several national evaluations of RDAs, Government Offices and Regional Assemblies and he was a member of the Cabinet Office Team which prepared the Labour Government’s decentralisation strategy for the Civil Service: Reaching Out. John worked on a voluntary basis to develop a support infrastructure for social enterprise in the West Midlands. This included Chairing the West Midlands Social Economy Partnership, a £3.5 million SRB6 action research programme involving 21 community business projects. This led to the establishment of Social Enterprise West Midlands (CIC), the development agency and regional voice for the sector involving some 450 businesses. He also served as a Board Member of the ESRC’s Third Sector Research Centre. Professor Mawson has published several books and over 100 journal articles together with official publications on the management of cities and regions. He has secured some 12 Research Council grants and raised over £4 million of research grants and consultancy from central and local government, the voluntary sector and research foundations. Reflecting his experience at the research-practice interface, he served as Special Advisor to the House of Common Environment Committee and was Chair of the UK Research Council’s Local Authority Research Council Initiative (LARCI) between 2005 – 2009. This was responsible for developing knowledge exchange and research activities with the sector and oversaw the negotiation of the first National Research Concordat between the Research Councils, central government departments and national local government bodies. Tanya has many years of experience of research, consultancy and policy analysis in issues surrounding third, public and private sector interactions. She is currently managing a pilot programme in Redcar and Cleveland, the ‘Grow’ programme, funded by Lloyds Bank Foundation which is focusing on the development of the capability of smaller third sector organisations. 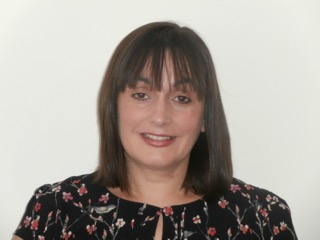 Tanya also currently works as an advisor and consultant at Tees Valley Community Foundation and this work has involved supporting the Wharton Trust in Hartlepool to be part of the Power to Change Empowering Places programme. Tanya, Stephanie Rich, Paul Braidford and Tony Chapman are also currently working on a two-year project for Durham County Council on interactions between public, private and third sector organisations who are supporting less advantaged young people to make successful life transitions. Tanya previous experience includes employment by One North East as Sport and Economic Development senior executive, and as the Nations and Regions Coordinator for the London 2012 Olympic Games. This role involved partnership brokering, coordinating and organising delivery of the Olympic Torch Relay, the Paralympic Flame Festival, the 2012 Football Competition at St James' Park, business and procurement opportunities, Pre Games Training Camps, volunteering, schools and community initiatives and tourism. Jonathan Blackie was Director of the Government Office North East for almost a decade from 2002. He was a founder Director of the Regional Development Agency, One NorthEast, and Regional Director of English Partnerships. He was Director of Newcastle City Challenge which covered the west end of the city following disturbances in 1990. 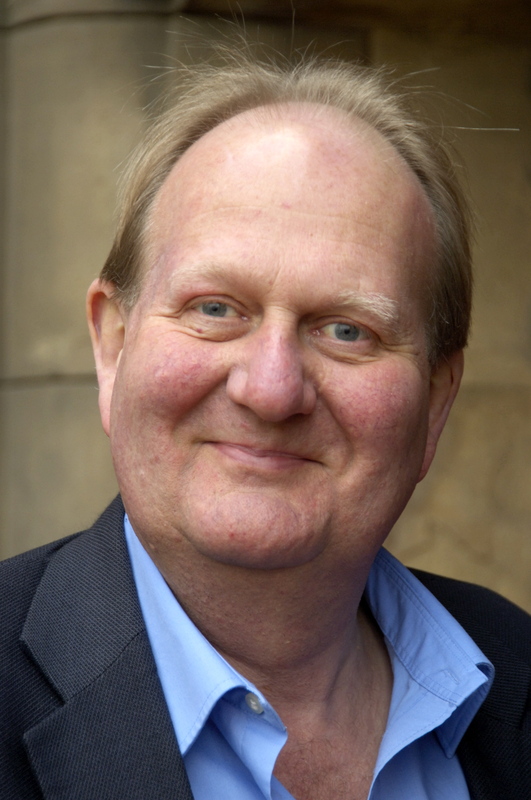 He is an independent trustee of Tyne and Wear Archives and Museums, chair of the Alnwick Garden Trust, and worked for the North East Culture Partnership to produce the 'Case for Culture' in 2015. He chairs the River Tyne steering group, with Port of Tyne, local authorities and agencies connected to the river. He is also Visiting Professor at Northumbria University. He co-produced the 'Borderlands' report with Professor Keith Shaw in 2013, which set the scene for the 'Borderlands Initiative', a Government sponsored devolution framework to promote the border area between England and Scotland. He also peer reviewed an economic innovation review of Southern Jutland for the Organisation of Economic Cooperation and Development in 2012.